Please contact me regarding the 2013 Fontaine Rent ME! 53 x 102 CONTAINER LOCKS drop decks CA - Stock# R4227 for sale at TruckerToTrucker.com. 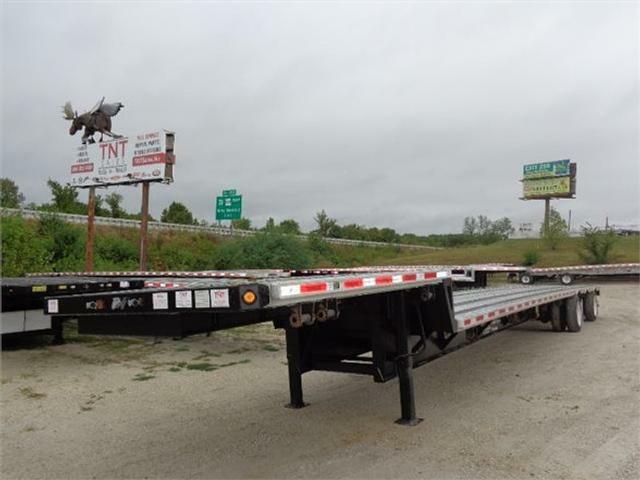 Take a look at this 2013 Fontaine Rent ME! 53 x 102 CONTAINER LOCKS drop decks CA. It is Stock# R4227 at TruckerToTrucker.com. For rent Fontaine Infinity drop decks WITH CONTAINER LOCKS! 53 x 102, aluminum rear, sides and floor with (4) Apitong wood nail strips, 10' front deck with 18 king pin, (16) pair of chain ties in floor, 122 widespread air ride with a rear axle slide, trailer is CA legal in the slid forward position, LP 22.5 on outside aluminum wheels, rear axle dump, winch track both sides with (12) sliding winches, spare tire carrier, 11,512#'s. Set up to haul (2) 20' containers or a single 40' container Net maintenance rental. We do not charge per mile fees. Bring the trailer back in the same condition it left with same tires and brakes and there will not be any other charges. If brought back with damages and tires and brakes less than it left charges would then apply. You take care of all maintenance while on rent to you.